I hadn’t thought about that for a while, but yeah, she actually went to jail. And here she is distributing her wares in a major department store. We are a forgiving nation, aren’t we? There are lots of examples of public figures that did something fairly immoral and came back from it: Robert Downey Jr, Tiger Woods, and Hugh Grant to name a few. For the most part, it looks like the general public has moved past their indiscretions. Downey failed at drug rehab multiple times, Tiger Woods completely blew up his marriage, and Hugh Grant was caught with a prostitute. Downey and Grant still frequently get roles in major motion pictures, and Woods just took part in a heavily promoted and hyped pay-per-view golf event. There are plenty in the public eye that haven’t had those successful rebounds, so why did they get another shot? One reason could be that the transgressions didn’t bring physical harm to anyone else. Saying they are entirely “victimless” is a bit of a stretch; I’m sure there were loved ones around Robert Downey Jr. who took an emotional toll watching him engage in destructive behaviors, and it is hard to imagine Tiger’s then-wife not feeling sorrow and humiliation for what she went through. But physical injuries were not brought on by these people. Further, there are compelling arguments that what Robert Downey Jr. and Hugh Grant did should be decriminalized. The one most harmed by Downey’s actions was likely himself, and what Grant did is an otherwise legal activity until you pay for it. A closer look at the crimes/transgression these people took part in also reveals another factor in the collective forgiveness of the public: sympathy for giving in to temptation. Even for those who have never committed insider trading, been addicted to heroin, solicited a prostitute or cheated on someone, we still understand temptation and have been tempted by something that could bring harm to ourselves or others. To put a finer point on it, the public figures mentioned here weren’t just tempted, they were probably tempted a lot. It’s a lot easier to say “no” once than to have to say it with a revolving door of non-stop temptations. 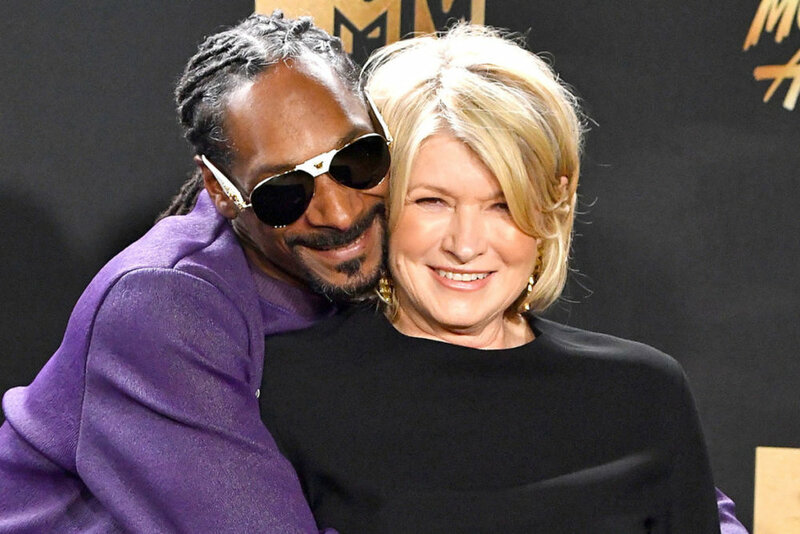 The factors of not having a clear victim, a basic absence of physical harm, and giving in to an overwhelming temptation might just converge the most with Martha Stewart. Again, no crime is truly victimless, but it is hard to explain who the victim is with “insider trading.” It can even be a little difficult to explain why it is illegal; as far as I know, however, there is no compelling reason to decriminalize insider trading. What Martha Stewart did is even relatable in some ways. If most people got inside information that a stock they had a substantial financial stake in was about to go down, the temptation to sell before anyone else knew would be huge. It leaves one with a feeling of appreciation even. Most of us have investments, and the aversion to losing money is nearly universal. It is interesting that Stewart’s actions are so understandable that she has shed her previously notorious unrelatibility into a place where we don’t ridicule her and even buy her towels at Macy’s. One factor not to overlook is whether some form of justice was served when the public forgives a well-known figure. While the notion of an “eye for an eye” is a significant factor, formal punishment is not always required. As long as there is something the general public sees as “paying the price,” a path to forgiveness can be paved. Martha’s punishment was formal; she did time. Hugh Grant’s punishment was informal; he went through with his scheduled Tonight Showappearance and sat through all the jokes at his expense. The price Downey paid was the overall difficulty in shaking his addiction. Tiger paid a $100 million divorce settlement and lost billions in potential earnings. It’s a bit funny that people will bring their kids to get an autograph from the prolific spousal cheater, or we’ll buy linens branded with the name of a woman who did prison time. As long as what you did wasn’t too terribly bad, you take ownership in your mistakes, pay a price, and improve yourself, you’ll find we’re actually a pretty understanding culture. There are lines that are too far to cross. For instance, we’ll never see O. J. Simpson doing football commentary or appearing in movies again, but comeback stories are everywhere. Who knows what the future holds. Some would say those mentioned in this piece were privileged enough that they could come back from their mistakes with fewer consequences than anyone else would pay. They certainly are privileged people, but their mistakes revealed them as flawed and their actions showed ownership in those mistakes. That put them in a new perspective as more relatable humans and that an abundance of privilege does not make them unworthy of a bit of compassion and sympathy. Keep an eye for the next comeback story. Someone else is bound to mess up.